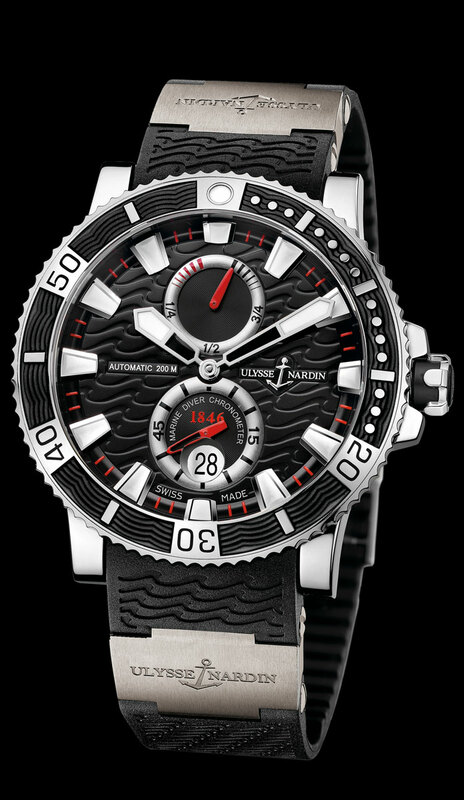 Titanium, 45mm case, with date, automatic movement, 42 power reserve indicator by the 12, with sporty black dial with red accents. It features an exhibition glass back, with the visible rotor engraved with the Ulysse Nardin name and anchor logo. Shown on a black rubber strap with titanium elements and folding buckle. Price $9500 dlrs To purchase this watch CALL US 956.687.2981.